Lampedusa is one of the most beautiful islands of Sicily and its beaches are classified among the best in the world. It belongs to the Pelagie archipelago together with Linosa and Lampione. The beaches with white sand remind those of Maldives Islands and its waters are clear and crystalline. Most of them are located inside long and narrow coves that allow to swim and enjoy the sea even when is bad weather! In some places you can walk for meters inside the water and the level is very low so it is the perfect place for everybody including children and elderly people. However, Lampedusa is still a savage place especially the part with rocks overhanging the sea, such as the so-called Tabaccara, rare wildlife and incredible seabeds perfect for snorkeling, just to say one. 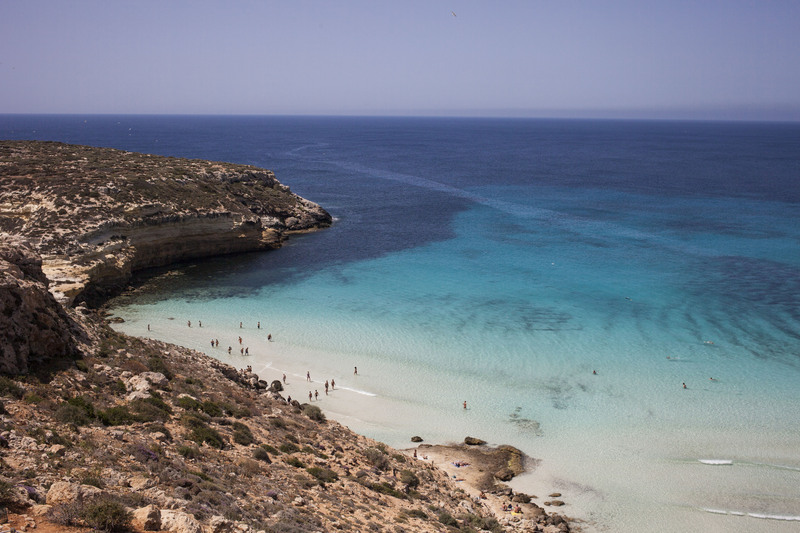 One of the most famous places in Lampedusa is the Spiaggia dei Conigli (Rabbit Beach). From there the view is paradisaical! It is not very far from the Isola dei Conigli (Rabbit Island) and in some moments of the day, you can walk on a sort of isthmus and reach it. The rabbit Island is an amazing place for one of the “best snorkeling spots in Sicily”, provided by Wildsicily. This beach is famous also because at the end of July newborn Caretta Caretta turtles can be seen coming out of their eggs. The seabed here conteins something special: diving here, along with an amazing wildlife, you can see a statue of the Virgin Mary in front of which some people decided to tie the knot. Is between the most attractive activity here even if most of the incredible places to visit are not very famous. A wonderful place for people who love adventure, is Punta Parrino especially for snorkeling lovers. You can spot many different species of fishes and some Roman remains still perfectly visible. 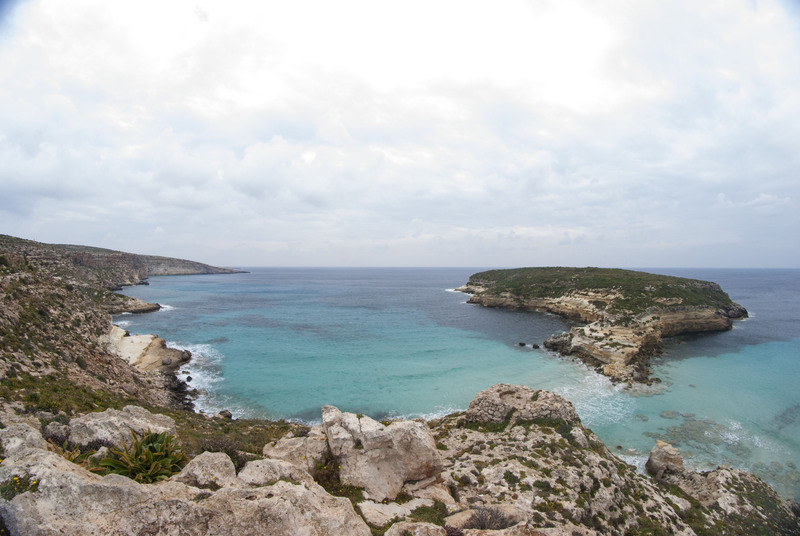 Punta Parrino is one of the must see places in Lampedusa. If you want to stay on the beach but you can’t be away from the center of the island, have a bath in Cala Guitcia with his velvet seabed and many hotels and restaurants around you. Going to Lampedusa, don’t forget to visit the WWF Sea Turtle Rescue Centre where you can even touch some Caretta Caretta turtles rescued by the association. If you are lucky, during your stay in Lampedusa, the marine centre will release some recovered turtles right on the beach. If you want to circumnavigate the island, you have the possibility to reant a boat and discover hidden corners far from the crowd. This is a video was made during one of the WildSicily team trip in Lampedusa, thanks to the collaboration of Mrs. Daniela Freggi, doctor of the WWF Turtle recovery center. She explained about the risks for the “Caretta Caretta” or Loggerhead sea turtle connected with fishing in Mediterranean and some tips to avoid turtles injury in general. The visit of the center is always available on request. 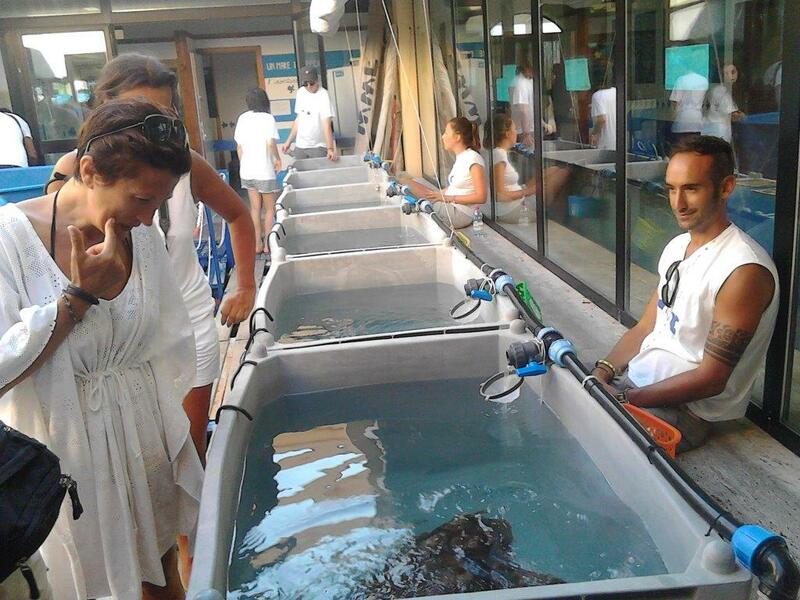 WildSicily trips and Lampedusa excursions include always a visit at the turtle recovery center.